Invite your guests to enjoy the remarkable charm of the building as they dance the night away. Ease the stress of your wedding as you relax in our luxurious bridal/groom suites upstairs. 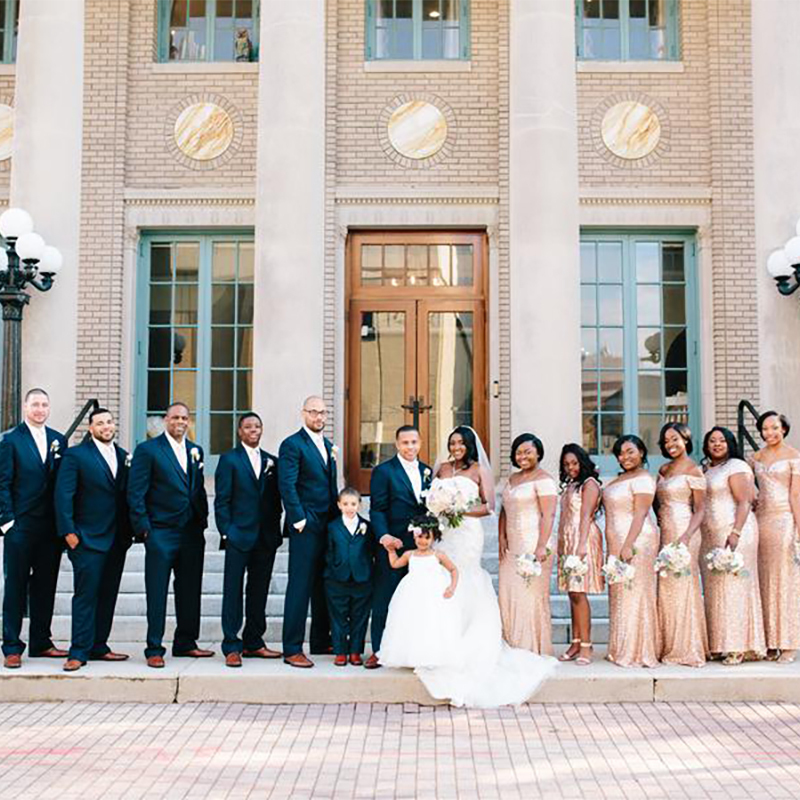 You bring the bride and groom and then let The Historic Post Office bring you memories to last a lifetime! 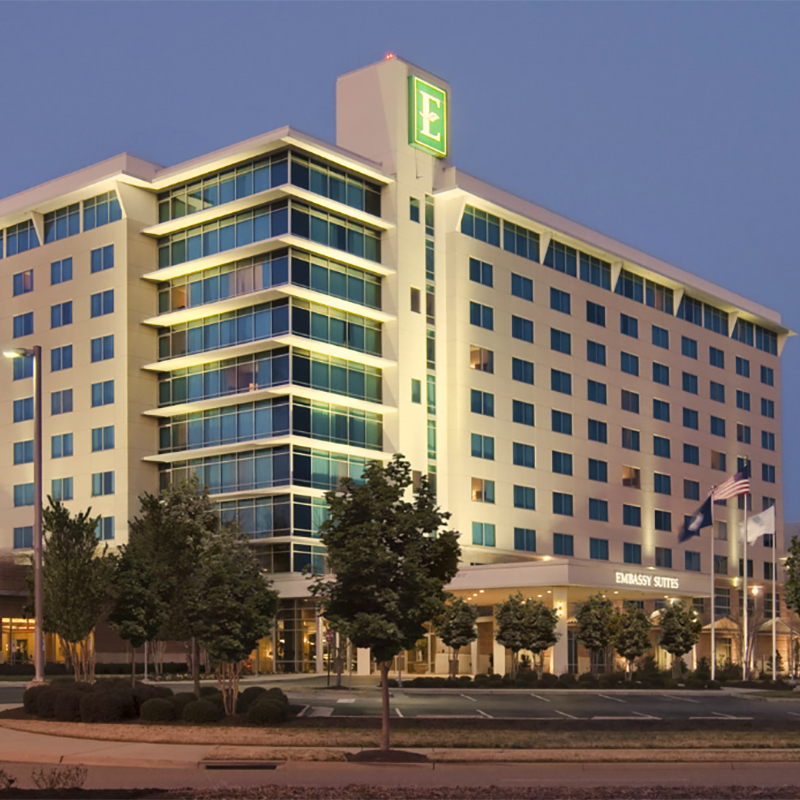 Tie the knot at Embassy Suites Hampton Roads. With over 190,000 sq. ft. of event space, possibilities are endless. Couples seeking a romantic, yet relaxed ambiance for their nuptials have found the right place. Have guests join you for a champagne toast in a beautifully lit ballroom. From intimate ceremonies of 10 to grand celebrations for 2,000, the hotel’s team of wedding specialists will help ensure your wedding is an extraordinary experience. The only waterfront hotel in Hampton, Virginia, our enchanting venues offer romantic settings for wedding receptions and ceremonies and farewell brunches. Our chic Grand Ballroom offers elegant decor and seating for up to 500 guests, and our waterfront restaurants are perfect for rehearsal dinners. Our expert wedding professionals will assist with planning all the details – entertainment, flowers, decor, and catering menus – to reflect your individual style. From wedding celebrations to retirement parties, and for every kind of special gathering in between. Built in the Classic Revival style at the beginning of the 20th century, this elegant brick home with its spectacular formal garden was a gracious addition to Fort Monroe, a strategic military installation from 1834 until its decommissioning in 2011. Occupied through the years by the commanding general of the fort and his family, this historic property has been meticulously maintained. 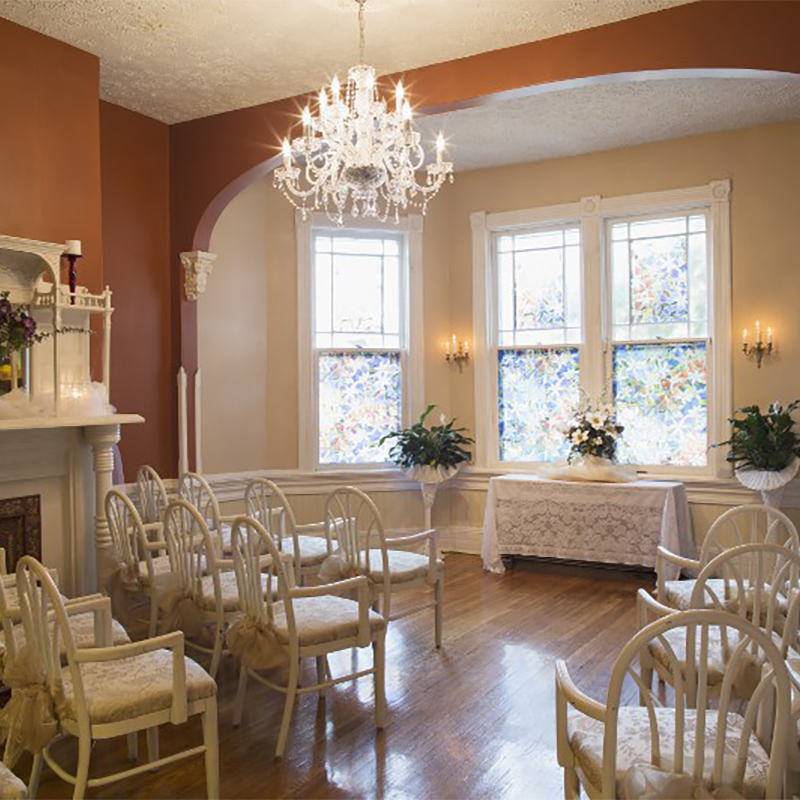 The space can accommodate up to 150 people and is the perfect location for Wedding Ceremonies and Receptions. 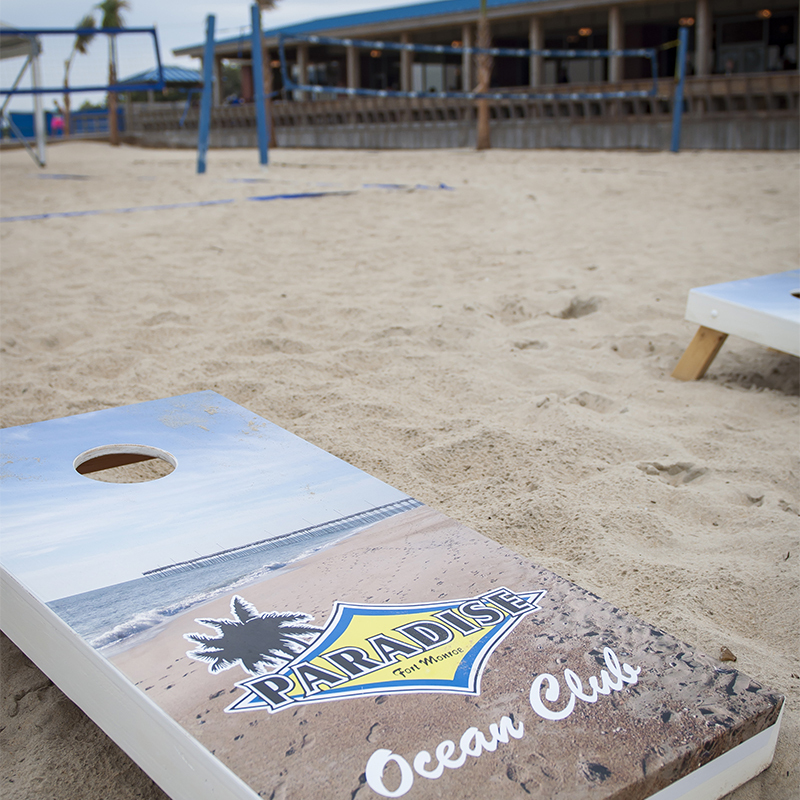 Paradise Ocean Club is Your One-Stop Relaxation & Event Destination! Here are just a few of the amenities we offer: Seafood Restaurant, Waterfront Dining, Full Service Catering, Private Beach, Olympic-size Pool, Tiki Bar and Cabanas. People come to ‘POC’ because of our amazing views, and perfect location. We offer everything you need including… Wedding Packages! 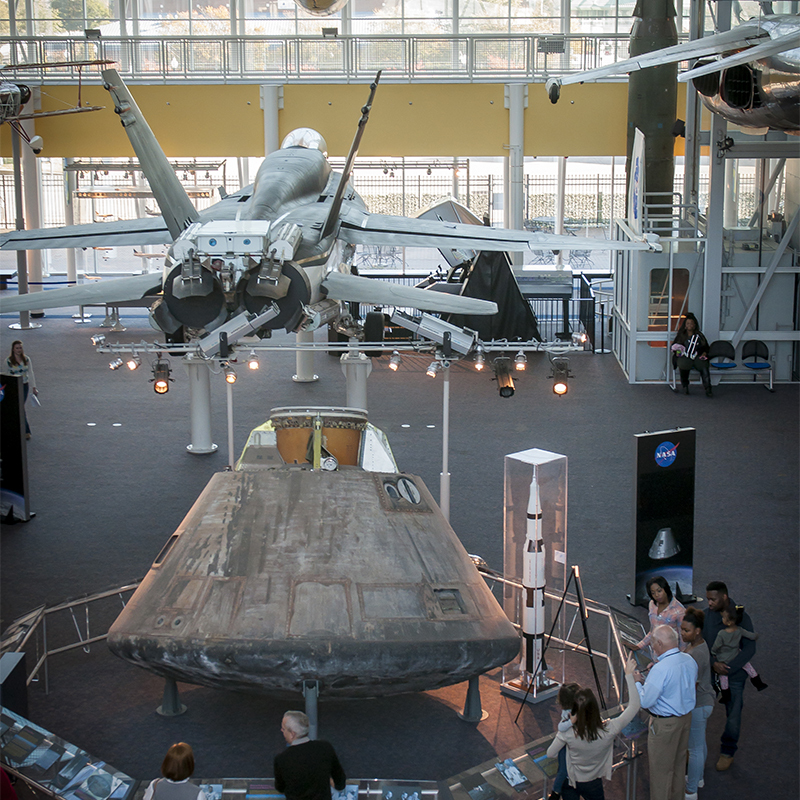 Weddings and receptions are typically held on the first floor of the museum, under the wings of massive airplanes that hang from the ceiling above. In warmer months, couples can use the outdoor patio for the reception for a unique outdoor atmosphere. Its roof is built to resemble that of an airplane hangar! 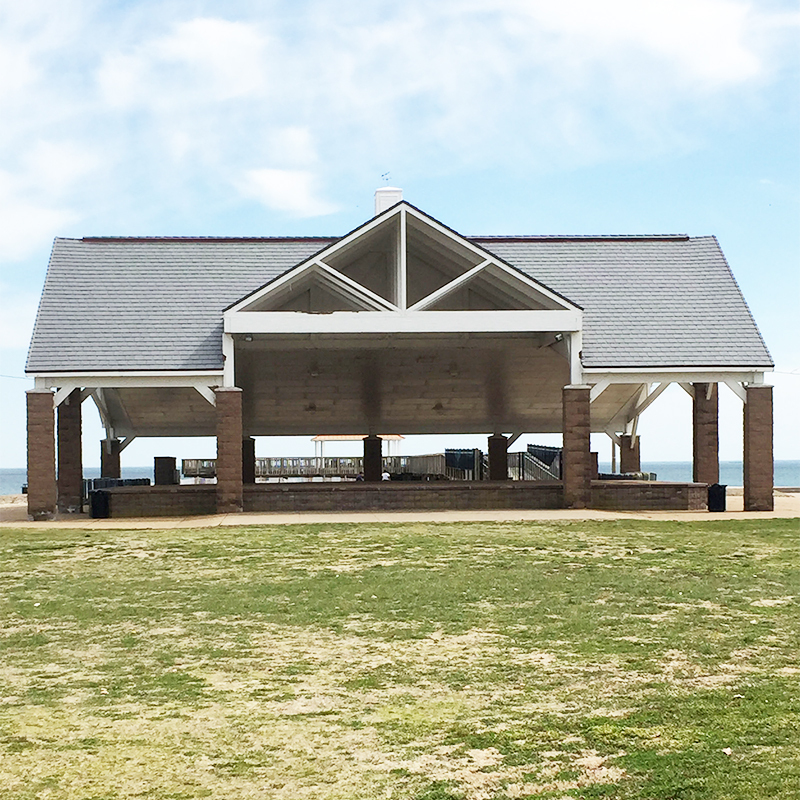 Buckroe Beach lies just north of Fort Monroe on the Chesapeake Bay. One of the oldest recreational areas in the state. Provides plenty of white sand beach with life guards on duty from Memorial Day through Labor Day. Has a large covered stage area ideal for outdoor weddings!